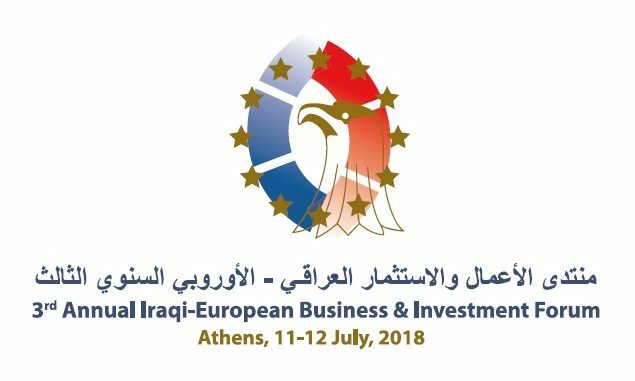 The “3rd Annual Iraqi-European Business and Investment Forum” concluded with success its deliberations and works on 12th July 2018, at Athenaeum Intercontinental Hotel of Athens. 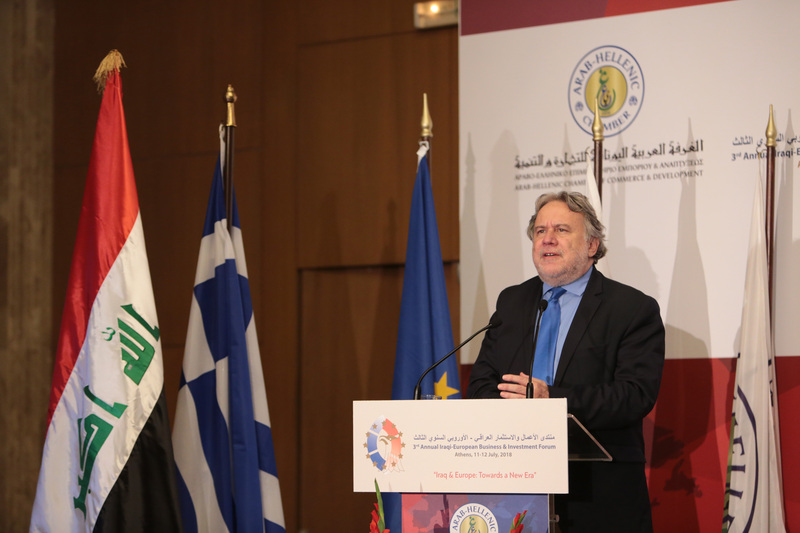 This Forum, which was convened under the auspices of the President of Iraq, the Ministries of Economy and Development and of Foreign Affairs of Greece, the Union of Arab Chambers and the Federation of Iraqi Chambers of Commerce, with Baghdad Chamber of Commerce as our Partner and Main Sponsor, enjoyed also the support of the Representation of the European Commission in Greece and the Arab-European Joint Chambers. 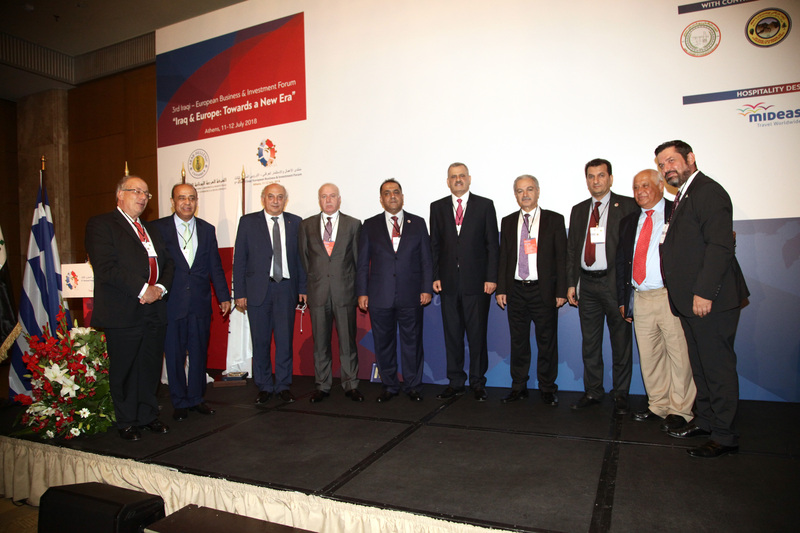 During the opening ceremony, on the night of 11th July, Mr. Rashad Mabger, the Secretary General of the AHCCD and Mr. Harris Geronikolas, Chairman of the Board of AHCCD, welcomed the guests and participants. H.E. Prof. George Katrougalos, Alternate Minister of Foreign Affairs of Greece, delivered the keynote speech, followed by Mr. Jaafar Rasool Al-Hamadani, Chairman of the Federation of Iraqi Chambers of Commerce & Chairman of Baghdad Chamber of Commerce, Mr. Tawfic Said Khoury, Executive Vice Chairman of Consolidated Contractors Company (C.C.C. ), who was represented by Dr. Saleh Jallad, H.E. Mr. Sharwan Kamel Alwaeli, Advisor to the President of the Republic of Iraq, and H.E. Mr. Ioannis Amanatidis, Deputy Minister of Foreign Affairs of Greece. 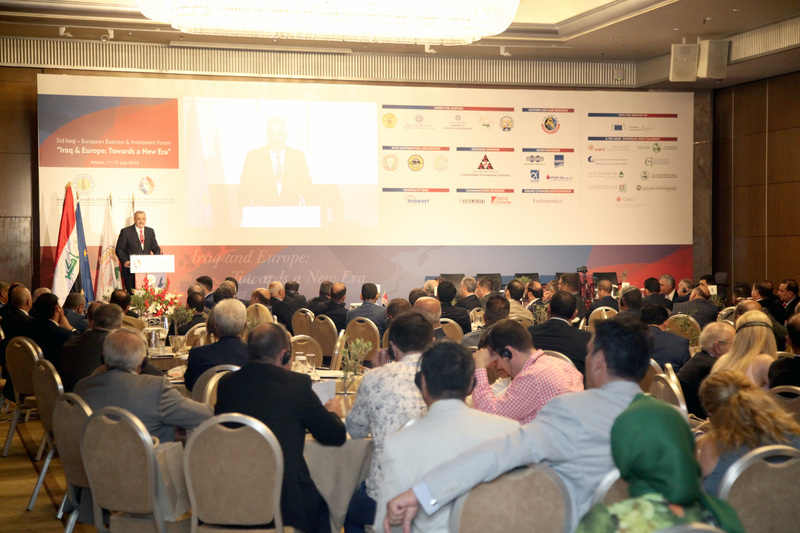 All keynote speakers praised the efforts of the Arab-Hellenic Chamber in enhancing Arab – Greek relations and referred to the high potential Greece and Iraq enjoy in order to elevate their business and investment ties. 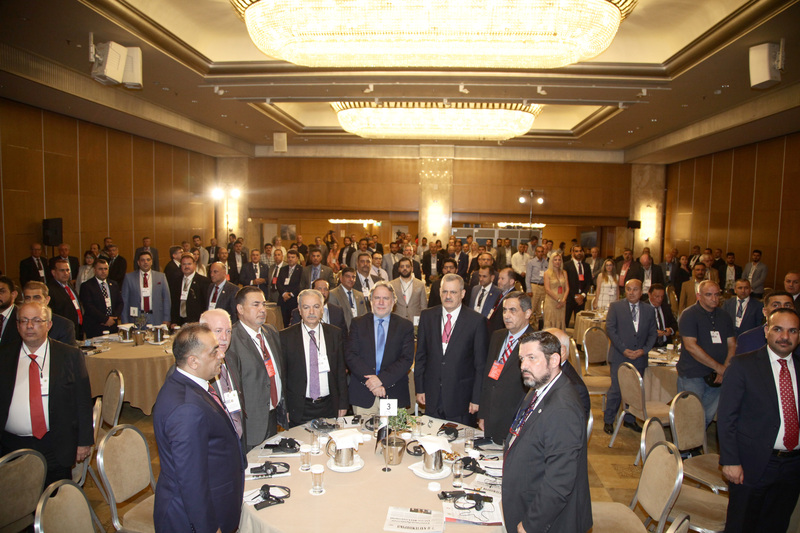 On 12th July, the Forum’s program included four sessions on “Iraq’s Re-construction Plans & Projects”, “Sustainable Energy & Petrochemical Industry”, “Investment, Banking System & Legislations, Iraq” and “Vocational Training & Human Resources Development”. All sessions represented the potential offered by Iraq in terms of the reconstruction of the country, the rebuilding of its infrastructure, the development of its industries in various domains and the enhancement of its manpower through education and lifelong learning. The afternoon program of the same day included B2B meetings in all business sectors between the visiting Iraqi delegations from Baghdad Chamber and three Kurdistan Chambers and their Greek counterparts. The Arab-Hellenic Chamber seizes this opportunity to express its appreciation for the official auspices granted to the Forum. Our gratitude also extends to our sponsors: Consolidated Contractors Company (C.C.C. ), the Strategic Sponsor of this event, the Silver Sponsors, Unipharma – Intermed, Athens International Airport and Motor Oil Corinth Refineries S.A., the Hospitality Desk sponsor, MIDEAST Travel Worldwide, and our Communication and Online Communication Sponsors, Naftemporiki and Economia Publishing and naftemporiki.gr respectively. A big thanks to Baghdad Chamber of Commerce, our partner and main sponsor and to all the companies and members of the Arab-Hellenic Chamber which participated in the Forum’s sessions and B2B meetings.